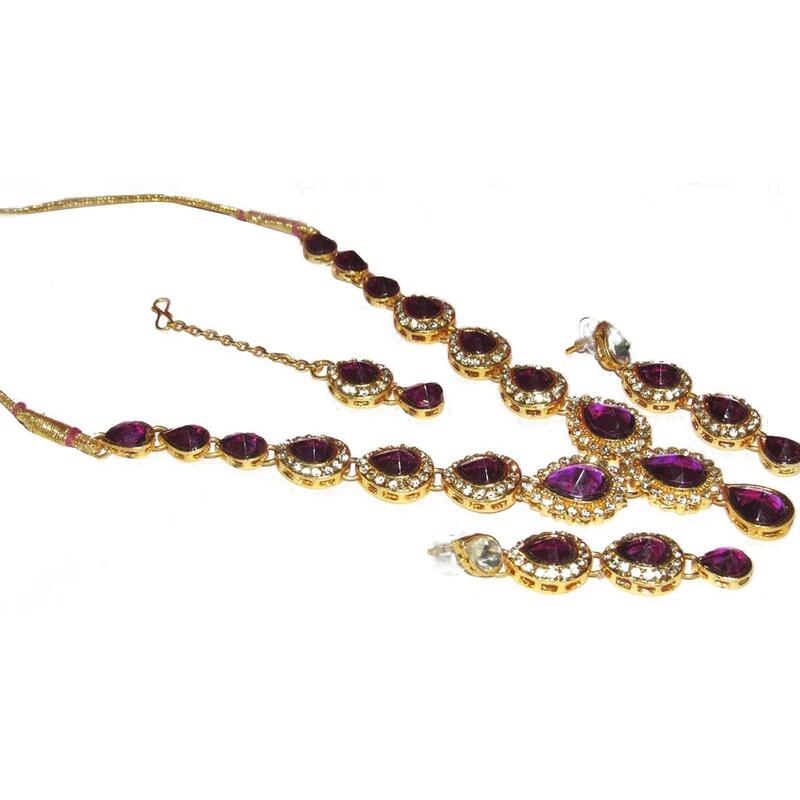 Featuring purple tilak stone single line necklace set with ethnic golden work makes this ethnic piece look more beautiful. This necklace set is perfect to pair with traditional & modern outfits. The set consists of a necklace, a pair of dangler earring set and maang tikka. Material Used : Stone.